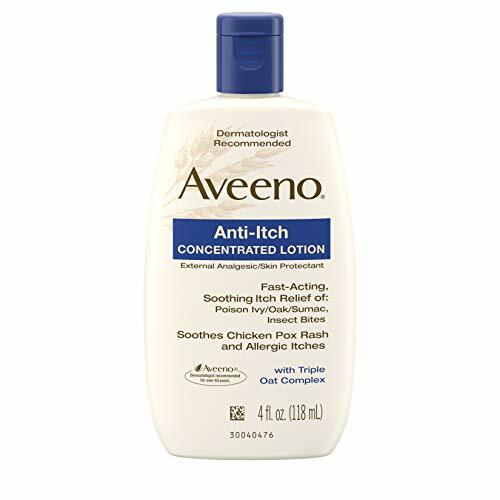 Aveeno Anti-Itch Concentrated Lotion with Calamine is a skin protectant that helps soothe itch caused by poison ivy/oak/sumac, insect bites, and chicken pox rash. This soothing lotion provides fast-acting, soothing relief of rashes and itching. It's formulated with calamine to dry up weepy rashes, as well as triple oat complex, which soothes itchy, dry skin.